Shoreham Airport is located on the western side of the River Adur. A walk runs from the town centre across the road bridge (Norfolk Bridge) and along the towpath adjacent to the airfield. The first commercial aerodrome in Britain, opened in 1911, (the first aircraft in England flew from Farnborough) is now used almost exclusively for light aircraft and helicopter flights. 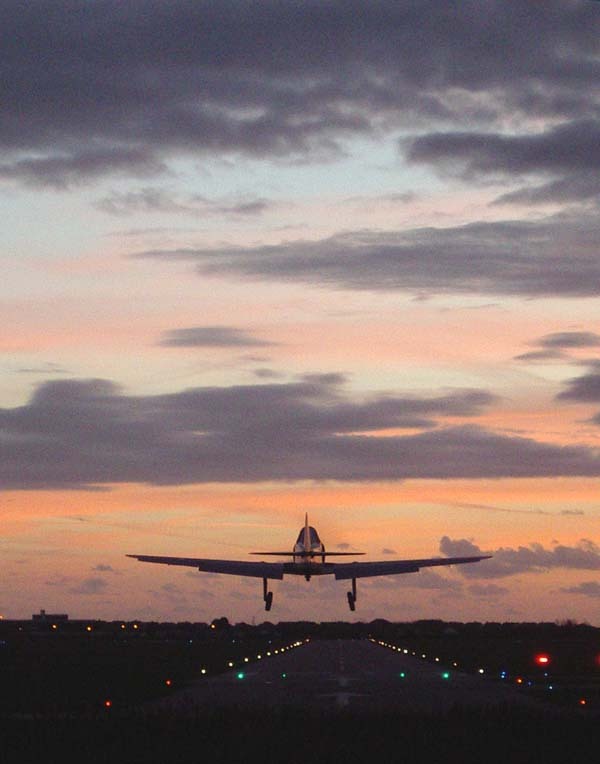 In year 2000, daily flights started to Le Touquet in France. The Aviation Museum in the old hangar is now closed forever (2003). 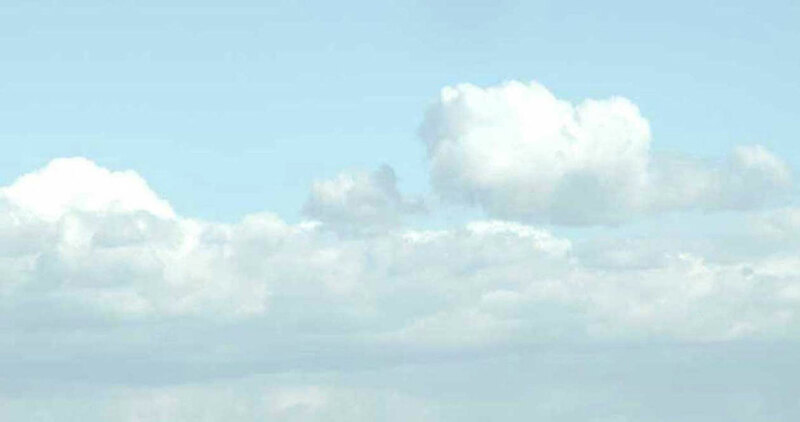 Pleasure flights are available. The Art Deco terminal building was designed by Stavers Hessell Tiltman. It was built about 1935. During World War II, Shoreham Airport was the base for patrol aircraft Lysanders and later as home base for Hurricanes A pair of Beaufighters1 of the Fighter Interception Unit were based at Shoreham Airport in 1940. In 1942 the Lysanders were replaced by Defiants2 and in 1943 these were replaced by Spitfire II's. Amphibious Walrus aircraft also took off from Shoreham to rescue pilots downed in the English Channel. In 1944 Sea Otter aircraft were also used. The Free French 345 Squadron in Spitfire Vb's and IX's flew on sorties out of Shoreham from 1944. As D-Day approached both the harbour and airport were a constant flurry of activity. The main activities were Air Sea Rescue operations. After the War, the introduction of jet aircraft brought about the end of Shoreham as a passenger flight airfield. 1 Night fighters introduced in 1940. The two-seat aircraft with pilot and navigator could operate the radar in the aircraft for locating enemy bombers. 2Originally fighter planes, they were already outmatched by Me109s at the beginning of WWII. 1911 Shoreham Airport opened for flights. 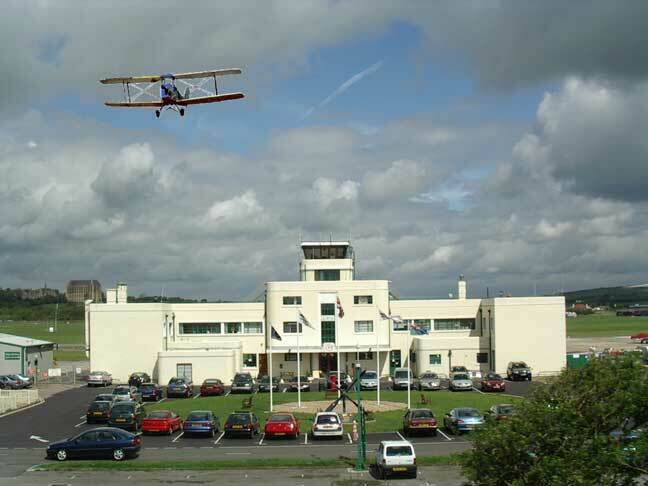 1911 Shoreham Airport opened for flights, officially on 20 June 1911. The first flying school opened in 1913. (The first flight was flown by Harold Plume Piffard on 18 September 1910, involving a mid-air turn). 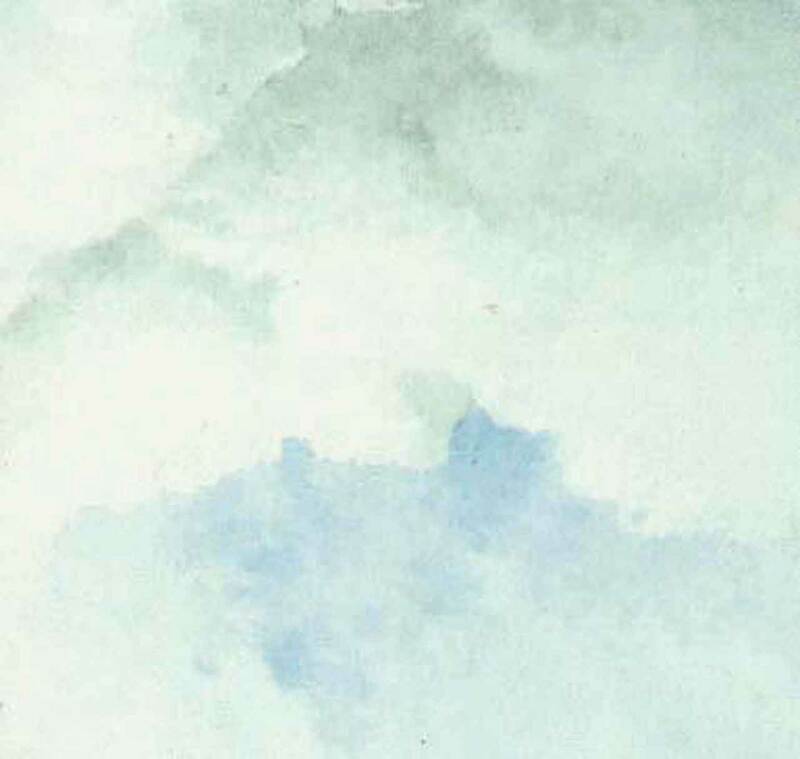 1915 No. 14 Squadron of the Royal Flying Corps was formed on the 3 February 1915 at Shoreham. during World War I. The first aircraft were Maurice Farman S.11 and Royal Aircraft Factory B.E.2 biplanes. 1938 Passenger air services in operation from Shoreham Airport to Jersey, Birmingham and Liverpool. The railway station serving the airport was originally called Bungalow Town Halt (opened 1910), but renamed Shoreham Airport Station (in 1935), the first station to serve an airport in England, in 1930. Link to Map showing the location of Shoreham Airport in relation to the town and the River Adur. A Piper twin engined aircraft made an unscheduled stop in the back garden of the house adjacent to the railway line on the south-west side of the bridge opposite St. Peter's Catholic Church. Unfortunately, the aircraft arrived through the top storey of the house which it demolished. Fortunately, nobody was killed. Queen Elizabeth II and Prince Philip land at Shoreham Airport in the maroon royal helicopter in a scheduled stop. 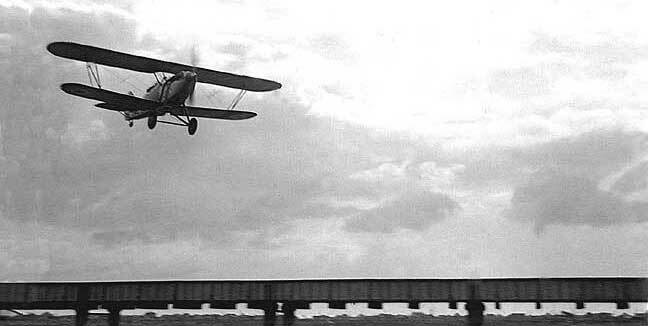 A training Hawker Hart coming in over the River Adur. My brother and I flew to the Isle of Wight in a Railway Air Services DH Dragon Rapide. At that time RAS also flew DH "Diana" class 4-engined aircraft to Jersey. Well recall Sir Alan Cobham's Flying Circus coming there. I still have the programme. A very windy day, and a glider in the show didn't make it back to the field and landed in the river mud. The Spitfire that used to be in the grounds of the Territorial Army in Eastern Avenue, Shoreham, has now been restored and on display in an Aircraft Museum in Perth, Western Australia. (Dennis Bowles). The oldest airport in the world is College Park Airport, near Washington DC in The USA.